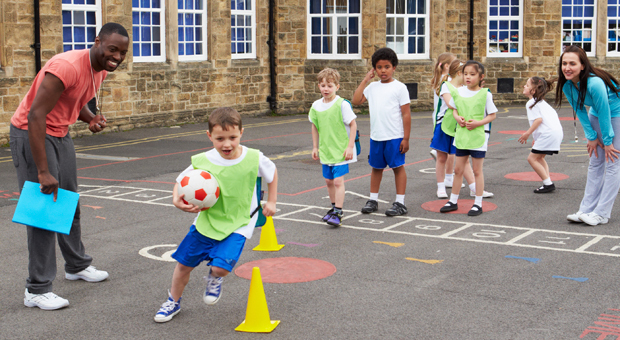 Blog What Is Physical Literacy And Why Does It Matter? Physical literacy is no different than other aspects of literacy. Kids aren’t born physically literate—just like they aren’t born knowing how to read or count. As a parent myself, I know you’re likely familiar with the terms “literacy” and “numeracy”. School boards across Canada have prioritized literacy and numeracy in order to teach kids to be successful in all aspects of their lives. However, to truly succeed, people need to be healthy in mind and body. Just as we teach reading and math, we must support and nurture children in learning how to be physically literate. We would never give a child a book and expect her to read before she knew how to make sounds or recognize letters—we need to think the same way when it comes to physical literacy. What Exactly Is Physical Literacy? The most commonly accepted Canadian definition of physical literacy is from Physical and Health Education (PHE) Canada. The PHE Canada definition is used widely in schools across Canada—it states that kids (or adults) who are physically literate can move with competence in a wide variety of physical activities that benefit the development of the whole person. Physical literacy is not about excellence in just one sport or activity. Physical literacy is not about excellence in just one sport or activity. It’s about each child having the competence to engage in a full range of activities in any discipline, such as running, swimming, trampoline, skating, outdoor obstacle courses or sports of any kind. Children who are physically literate are able to make the most of opportunities for fun and activities, regardless of the setting, season or playing surface (whether it’s land, air, ice, water or snow). Physical literacy has many benefits—not just in the obvious areas of health and well-being. Research shows that without the development of physical literacy, many young people withdraw from physical activity and sport. They’re unable to make positive choices about their health, turning to more inactive and unhealthy choices during their leisure time. I believe that physical literacy needs to be delivered on a cross-curricular basis in schools, as it is relevant to a wide range of learning. It needs to be given the same priority as literacy and numeracy, thereby creating a third cross-curricular responsibility. Brain breaks are a simple and popular way to integrate physical literacy into the classroom. When teachers regularly incorporate short movement activities into the school day, children can get some of their excess energy out. Moving around also invigorates kids and increases their ability to focus on the learning at hand. Doing simple physical exercises and activities can also reinforce literacy and numeracy skills. Doing simple physical exercises and activities can also reinforce literacy and numeracy skills. When a child reads an instruction on a poster or fitness chart, she is practicing literacy skills. Keeping track of how many reps she does helps teach counting in a real-life situation. If she brings the exercises home and teaches them to her parents, she is developing communication skills. Sadly, we’ve seen a decline in the number of Canadian kids playing sports for several years. While there are numerous reasons for this, the one key factor is the lack of emphasis put on physical literacy. Why isn’t physical literacy an integral part of all childhood programs? In part, I believe it’s due to a lack of knowledge about the connection between physical activity and brain development. As parents, we need to demand that our children have both structured and unstructured opportunities to develop physical literacy. Just as we acknowledge that literacy and numeracy are vital components of education that prepare our children for success, we need to make sure physical literacy is part of what they learn every single day. So let’s continue working to ensure our children and youth meet the Canadian guidelines for physical activity: being physically active for at least one hour a day for children and young people and 2.5 hours a week for adults. This is the key to staying healthy while decreasing the risk of developing one or more of 25 chronic diseases, including heart disease, stroke, type II diabetes and osteoporosis. Work with your children to ensure they become physically literate. Teach them the knowledge and skills they need, which will give them the confidence to embrace physical literacy throughout their lives. Remember, physical literacy doesn’t stop when a child finishes school; it needs to continue developing and improving. Physical development is for a lifetime!